CMS kicked off the weekend with a team win at the Topsfield Cross Country Festival hosted by the Greater Boston Track Club. Despite the windy conditions, the team walked away with the team cash prize, a baked pie, and shoes from Puma. 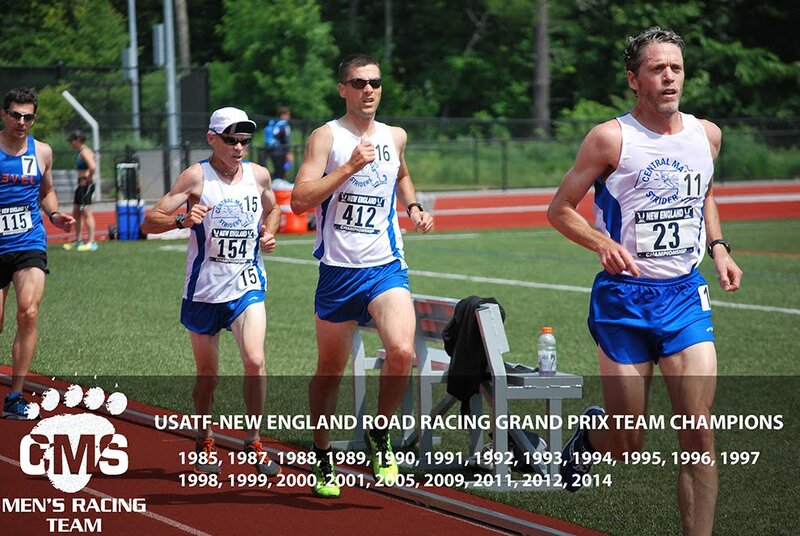 This was race number three in the USATF New England Cross Country Grand Prix series. The series concludes with a 10K Championship at Franklin Park in November. The winds quieted down Sunday morning for the marathon team at the BayState Marathon in Lowell. The conditions were near perfect, high 40’s and partly sunny with a breeze. CMS’s Andy McCarron - 2:27:22.9, Jim Johnson – 2:27:33.7, and Scott Leslie – 2:28:13.4 placed 6th,7th, and 9th overall to capture the men’s open team title in a very competitive team race. Greg Hammett – 2:34:31.4 followed suit with a 17th place finish. These four men also set personal records for the marathon distance. The men’s masters team placed second overall with a scoring team of George Adams – 2:37:20.3 (20th overall, 4th master), Ken Tripp – 2:40:25.0 personal record (30th overall, 9th master), and Dan Verrington – 2:43.03.3 (35th overall, 10th master). 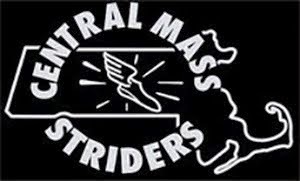 October 8, 2010 - Worcester, MA - The Central Mass Striders (CMS - Polar Beverages) based out of Worcester, MA - looks to defend their New England Marathon Championship title as they captured the men’s open team division in the Bay State Marathon in Lowell, MA last October. 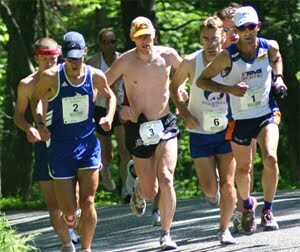 The Bay State Marathon will repeat as host for the New England Marathon Championship on October 17. CMS returns their top four Bay State participants and top master for this year’s event. Additional details about the Bay State Marathon can be found here. Justin Fyffe set a personal and Vermont resident record with a 2:22:16 effort at the Vermont City Marathon in May. 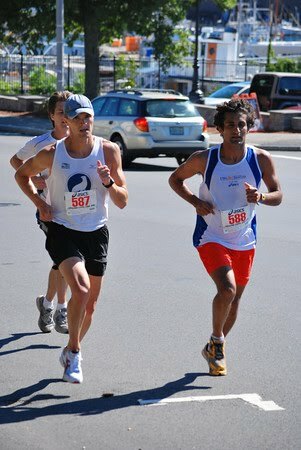 He finished second overall in the Bay State Marathon with what was a personal best of 2:28:15 in 2009. Andy McCarron also set a personal best with his 2:29:01 effort at Bay State in 2009 – to take the bronze behind teammate Justin. Andy, making his marathon debut, was runner up at Bay State with a 2:32:10 in 2006. Scott ran his second fastest time of his marathon career with a 2:33:08 clocking at Bay State in 2009. 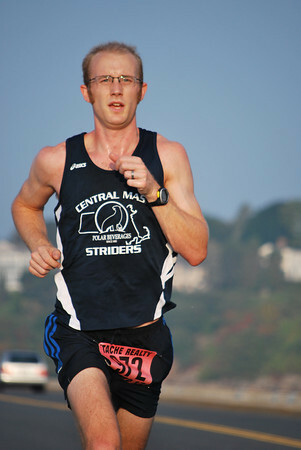 His seventh place finish closed the scoring for the Central Mass Striders. His personal best of 2:32:56 was achieved at the 2009 Boston Marathon. Jim set a personal best at the 2010 Boston Marathon in 2:30:00 shattering his previous best of 2:37:46 set at the Bay State Marathon in 2009. 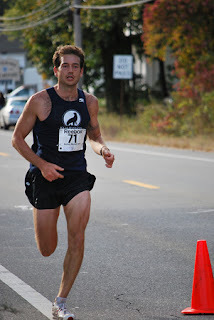 Greg has had a solid year from the track to the roads which was highlighted by setting a personal best of 1:11:00.6 at the New Bedford Half Marathon in March. 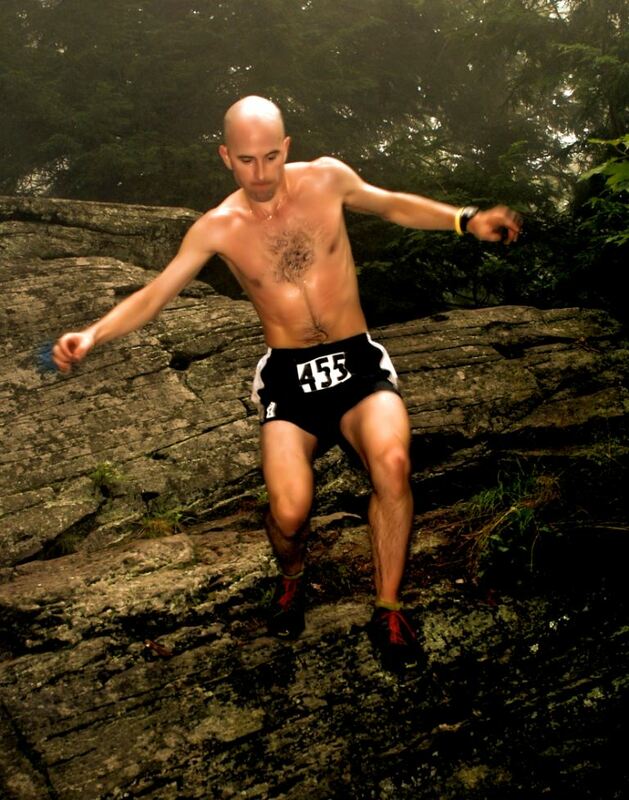 A veteran of some of New England’s toughest trails races, Greg is making his road marathon debut. Jim is making his first New England Championship Marathon appearance since a 2:33:35 effort in 1997 at the Ocean State Marathon. Dan, a veteran of several marathons, is the owner of a 2:21:10 (Vermont City Marathon, 1996) personal best. 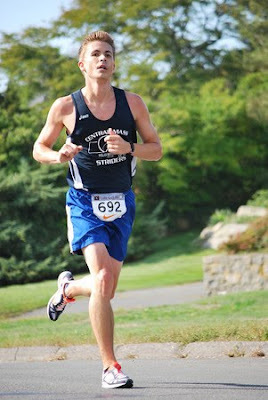 Dan ran 2:47:08 at Bay State last year which was good for the eighth quickest master effort of the day. In addition, Dan won the Bay State Marathon in 2001 with a time of 2:33:51. George Adams has a personal best 2:31:25 set within an overall win at the Clarence Demar Marathon in 1996. Dave Dunham is the Bay State Marathon event record holder with a 2:21:36 during 1998 to qualify for the Olympic Trials Marathon. Dave who graduated from UMass Lowell, has run the Bay State Marathon seven times.